We’ve all been there, stuck in a music groove listening to the same favorite tracks. Research shows that by age twenty-eight most people have hit it. HT is here for you. If you’re there, and need new music in your life, then look no further than our diverse lineup of musical acts. Looking for the perfect mix of folk and alternative rock? Check out Willie Nile who has played with The Who and Bruce Springsteen and The E Street Band. Maybe you want something softer and more romantic? Nellie McKay’s soothing and sweet voice has you covered. We even have musical acts for children: The Little Rockers’ songs are designed to introduce children and adults to the world of music using group participation and directed performance. 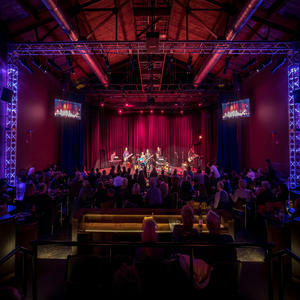 At Hopewell Theater, we feature a wide variety of selectively eclectic live music that encompasses all genres and styles. Just this past year we’ve had Grammy-nominated artists like Bettye LaVette and critically acclaimed musicians like Jill Sobule play to passionate and enthusiastic crowds consisting of die-hard fans and first-time listeners. You never quite know when you’re going to discover your new favorite artist or band. There’s something for everyone at Hopewell Theater and we hope you’ll join us in listening and discovering new music. Be sure to check out our full live music lineup here.